In the night from Saturday to Sunday, after a good dinner in a nearby restaurant, we spent half of the night to start from scratch. What a wonder, on the second day, music was playing, finally music was in the room and cheered our ears. Thanks to Marco for the big effort. We needed more than 3kg of caffe in 3 evenings. We drove more than 3000km, we had more than 30 guests at our company during the show days. Our official catering and host service, the Gasthof zum Adler of the Zott family, was nearly fully booked by us for the entire exposition time. The support has been great. But this is only side program, like side program was the chance that our guest had in enjoying typical bavarian food and good music. The idea to participate has borne by chance during one of the visit Andrea played to STS-Digital to evaluate the quality of the Groove into Bits CD and discuss some more points about marketing. And this is the question we had: how can we promote the brands in the most effective ways. Then we crosschecked our resources and decided to go again an unconventional way: we have the Blumenhofer Acoustics CD, why not to sell it at the show? Some dazzling some phone call after we had the space at the fair and the equipment for displaying and playing the CDs. 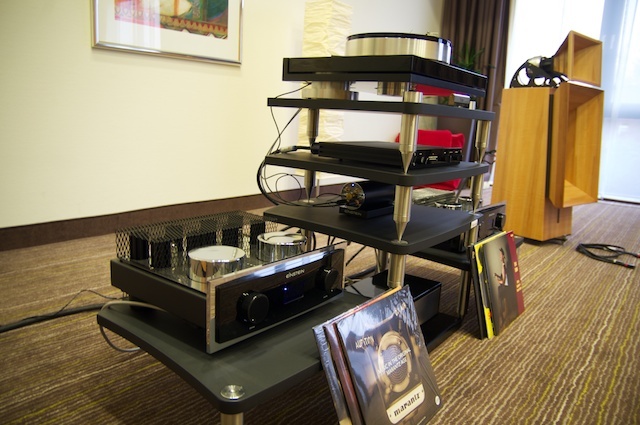 The electronic of Pro-Ject has been supplied by ATR, the cabling and the power supply harmonizer by Cammino-HP. We used the stand as static display and as point of contact for the people interested in our products. 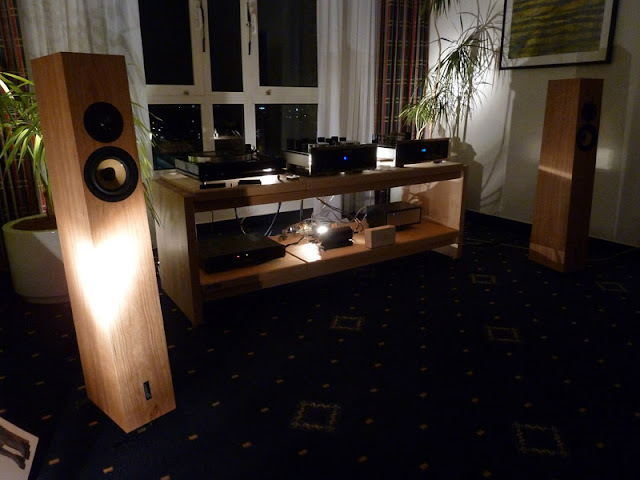 And the interest was big, thanks as well to the Gran Gioia from Blumenhofer Acoustics: a great eye catcher! 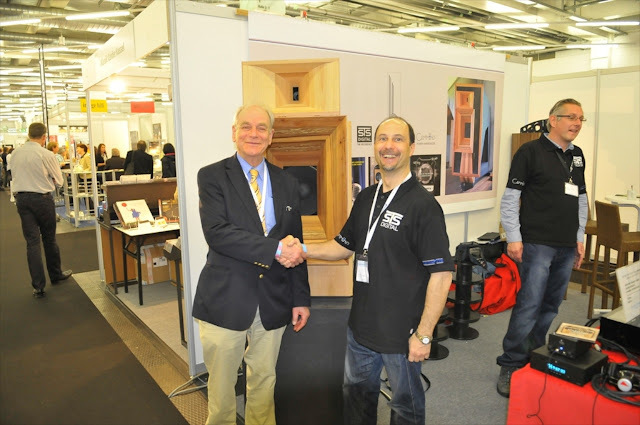 During the show we had several visit of old friends and new potential distributors. The visit of Van den Hul himself, the owner of the famous Van den Hul brand, brought some emotion Mr. Van den Hul appreciated our work. Mr. Heinz Lichtenegger, director of Project, has been pleased by the quality of our CDs and recordings, and was astonished by the result over their CD player... well they were fed by our power harmonizer!! 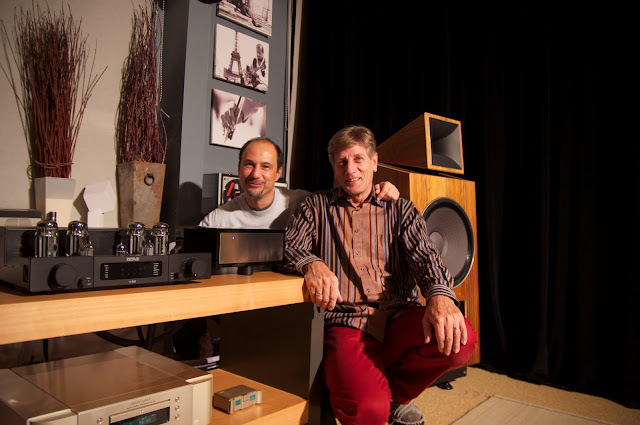 In our cooperation with Andrea Vitali, this year we have the chance to participate to the Norddeutsche HiFi Tage. 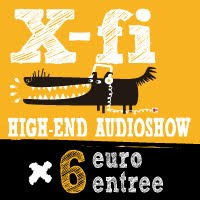 One of the most important HiFi shows in Germany. This show is ongoing since about 7 years now and every year there is an increase in exposers, participants and quality of the presentations. 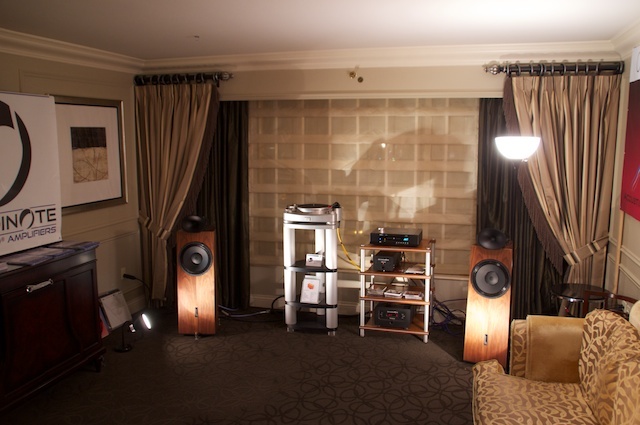 We were in the room of Blumenhofer Acoustics and Einstein, on the 16th floor of the hotel. We had longer talks with final customer interested in power treatment and perfect system setup. Volker of Einstein Audio had as usual a really great choice of music. Blumenhofer was playing the Fun 13, a new budget loudspeaker and the people were surprised by the range and musicality that it has been able to express for the 2 days. Rarely was our room not full and not visited. The contacts have been several and well promising. 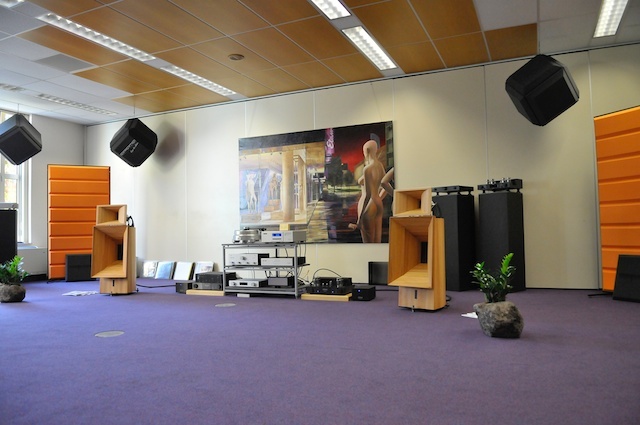 The cooperation with Grandinote, Astin Trew, Blumenhofer Acoustics and Acoustic Signature has been fruitful. The results will be fruitful as well.